Proverbs are an important part of peoples’ different cultural capital filtering it into common sense truth. This lesson plan by Irene Vlazaki combines a variety of learning strategies using proverbs in the background. Learners will express themselves linguistically and artistically in a process of understanding how values can connect us. Irene Vlazaki has been a teacher of English in Greece for 25 years currently working in a state primary school in Thessaloniki. Before settling in Primary classrooms she has had a significant amount of experience in all grades and levels of ELT. 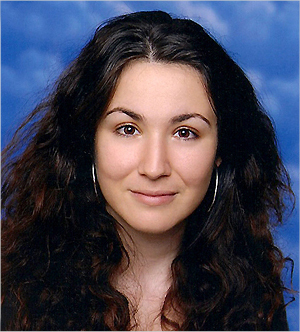 She is currently an MA student in intercultural studies and Pedagogy in Aristotle University of Thessaloniki and strongly believes in the mediating power of English Language and the bridging of cultures it can initiate. Being a project coordinator in two Erasmus programs made it possible to see how problems can be solved through interaction and respect. ELT can be used in the most unconventional ways if students enjoy and learn and State schools are still in Greece a wonderful place for experimentation and creativity despite the many difficulties and lack of recourses. To inaugurate the website of the Visual Arts Circle we have invited Dr. Sylvia Karastathi of New York College, Athens, Greece who has a PhD and post-doctoral studies from the University of Cambridge, to write about the increasing important role of visual literacy in English language teaching. Few language teachers can claim that they never use still or moving images in their lessons; yet, this standard practice is rarely touched upon in teacher training curricula on the assumption the way to introduce images into lessons is self-evident. This short article starts by introducing some key ELT resources on using images in the classroom; it then goes on to argue that we need to approach images not simply as an aid but as a key component of “multimodal communicative competence”. In his 1966 ground-breaking study The Visual Element in Language Teaching Pit Corder made the useful distinction between “talking about images” and “talking with images”, differentiating between physical description and personal response. Since then, practical books such as Andrew Wright’s Pictures for Language Learning (1990), Jamie Keddie’s Images (2009), Ben Goldstein’s Working with Images (2009) and Peter Grundy’s et. al. English Through Art (2011) have suggested a wide variety of engaging activities that exploit the power of still images in the classroom and demonstrate their potentials to facilitate language learning. More recently, principled uses of the moving image in the classroom have become the focus of discussion in ELT with publications such as Ben Goldstein and Paul Diver’s Language Learning with Digital Video (2014) and Kieran Donaghy’s Film in Action (2015).